There’s nothing quite as enjoyable as a lazy morning in bed and our Boxton bedspread/cushion was made for such an occasion. It’s time to unwind. We’ve really upped the comfort factor with the matelassé finish. It’s a French weaving technique that gives Boxton its quilted look. 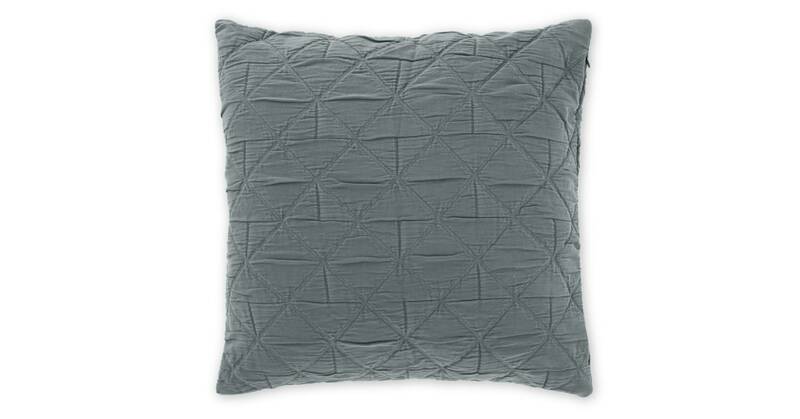 To balance Boxton’s quilted finish we’ve opted for a cool shade of grey. It’s a modern, sophisticated bedspread/cushion that strikes exactly the right note.